We have a new visitor page up! 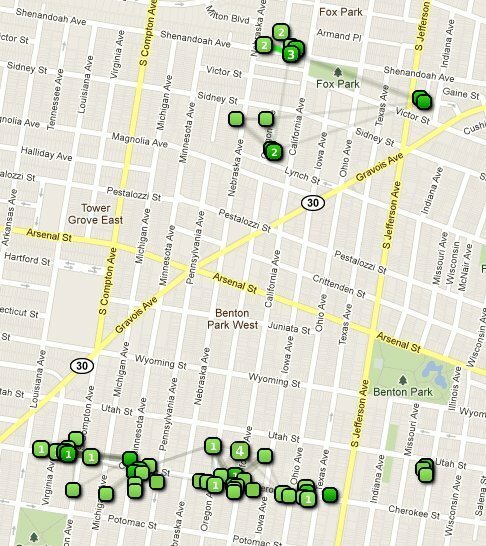 It is viewed daily on average 350 times by people using WasabiNet, located in either Fox Park or in Benton Park West! Presently, were have 3 ad spaces to the left, sized 120 x 240 pixels (WxH), and we are selling these spaces for $20/mo each. Each ad can be linked to a custom page with your content, or they can be linked to a website address you provide. Please fill out the form below if you would to buy ad space. Here you can submit copy, if you have, to be displayed on the page linked to your ad. Here you may upload a 120x240 pixel image for your ad, if you have one available, for preview purposes.